Abergwili is located at the outskirts of Carmarthen Town with good access to the A40 and M4. It is historically the home of the Bishops of St. Davids and is now the administrative hub of the diocese of St. Davids, which covers the old county of Dyfed. 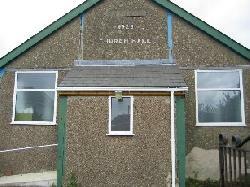 The hall was built by the community in 1928. Each concrete wall panel was mixed and donated by individual families. We are currently in the process of looking to rebuild a new hall on a new site with state of the art facilities. We can seat 200, and there is disabled access. Hall Address: Ismyrddin, Abergwili SA31 2JQ. 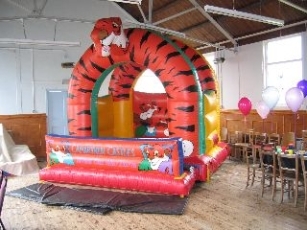 Hall has a large main area with stage and an ante-room with fully functioning kitchen and male/female toilet facilities. Heating is overhead halogen heaters and storage heaters are available for long term users. There is no IT equipment. Take the A40 east out of Carmarthen. Turn off the high street in Abergwili opposite the Black Ox Pub and the Hall is 100m on the left.